The hearing, “Time for Action: Addressing the Environmental & Economic Effects of Climate Change,” is the subcommittee’s first hearing in the 116th Congress, and the first time the committee has addressed climate change since 2013. 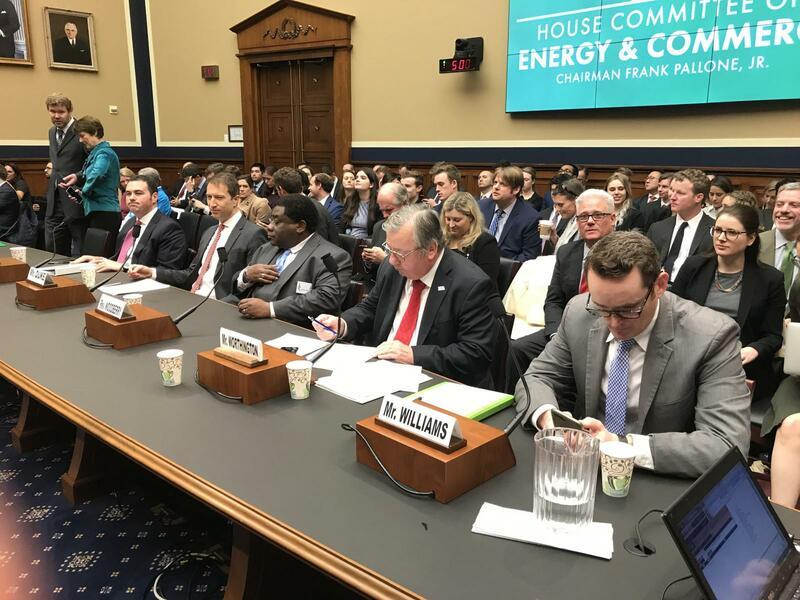 In a statement on the hearing, Worthington said, “The U.S. energy industry continues to produce and deliver safe, affordable, reliable energy while addressing the effects of climate change. “Meanwhile, there are about three billion people around the world with either no access, or inadequate access to energy. USEA’s team of international energy development specialists have worked for a quarter century with the U.S. Agency for International Development to tackle this problem. “In fact, the International Energy Agency recently reported that more than 120 million people worldwide gained access to electricity in 2017. IEA says it’s the first time the total number of people without any energy access fell below one billion. “We are moving in the right direction, and as global population grows, the energy industry is expected to provide 5 billion more energy consumers access by midcentury. “We believe to increase energy access, reduce energy poverty and maintain our own reliable strong energy systems, we need a diverse repertoire of energy supplies and technology, from renewables to fossil fuels to nuclear energy to alternative sources. “We need to work toward assuring that fossil fuel utilization uses high efficiency/low emissions technology including carbon capture and storage. “Our industry’s challenge is to double the provision of energy services globally, while reducing greenhouse gas emissions by 80%. Our industry has undertaken a wide range of initiatives to reduce, avoid, or sequester greenhouse gas emissions. Since 2000, the energy industry has invested at least $120 billion in emissions reducing technologies. We are very proud of our progress. “Electric power carbon emissions declined 28% from 2005 to 2017. We expect this trend to continue. “Methane emissions from the natural gas industry declined from 1990 to 2015 by 18.6% even though U.S. natural gas production increased by more than 50%. If you’d like to speak to USEA Executive Director Barry Worthington, please contact Dipka Bhambhani, Communications Director at [email protected] or 202-321-3337.